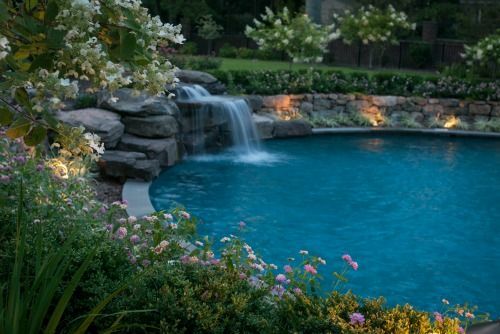 A custom water feature serves as the focal point for this half circle shaped pool. 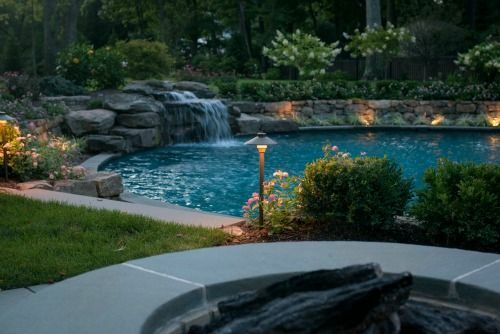 With a custom stone fire pit and seating area nearby this backyard is a natural and relaxing escape its surroundings. 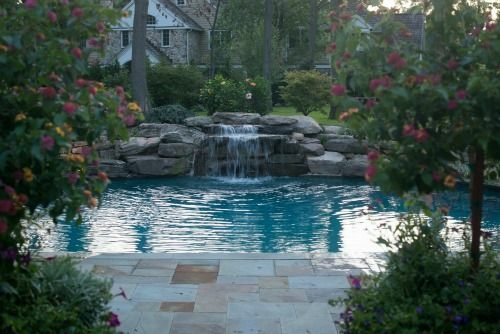 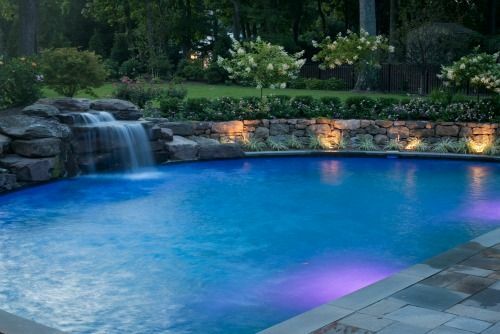 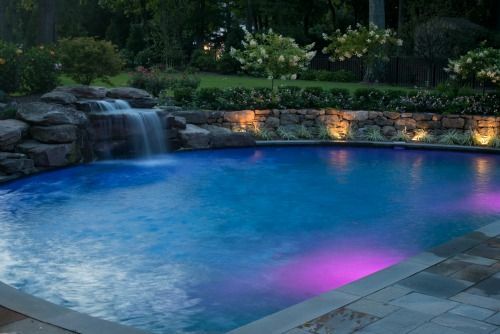 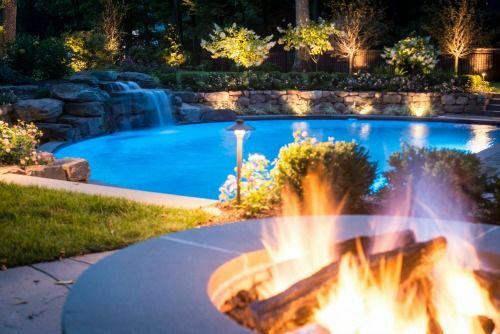 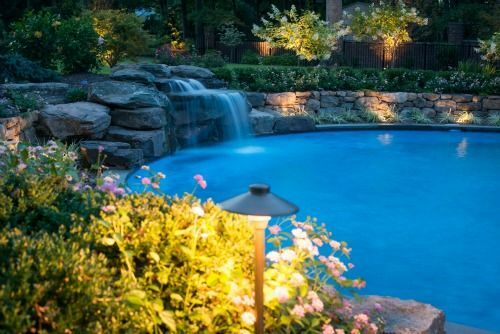 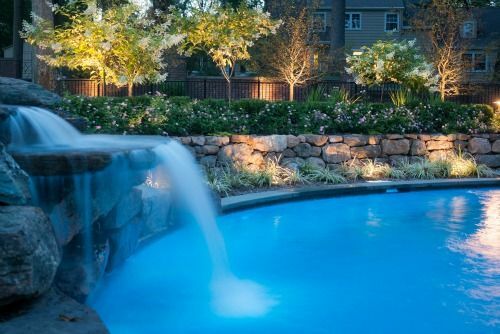 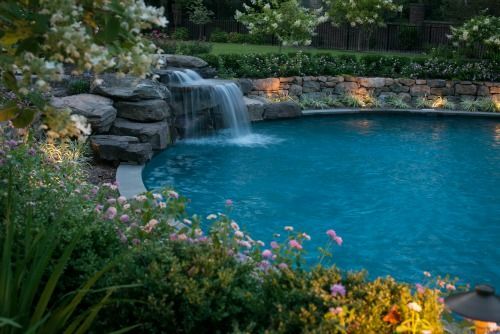 Tranquility Pools designs transformed this Madison New Jersey backyard into a breathtaking swimming pool oasis. 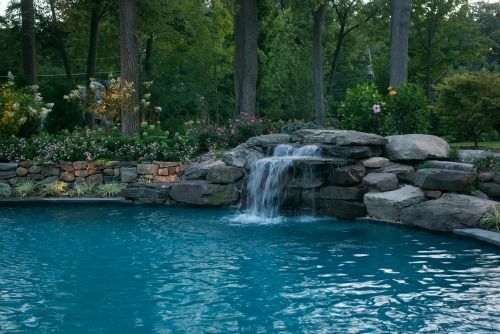 With the addition of a natural stone water feature, this inground pool offers a tranquil and sophisticated backyard scene. 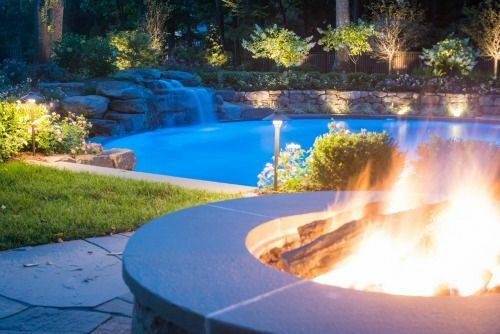 The firepit adds the perfect amount of warmth on the cooler summer nights.